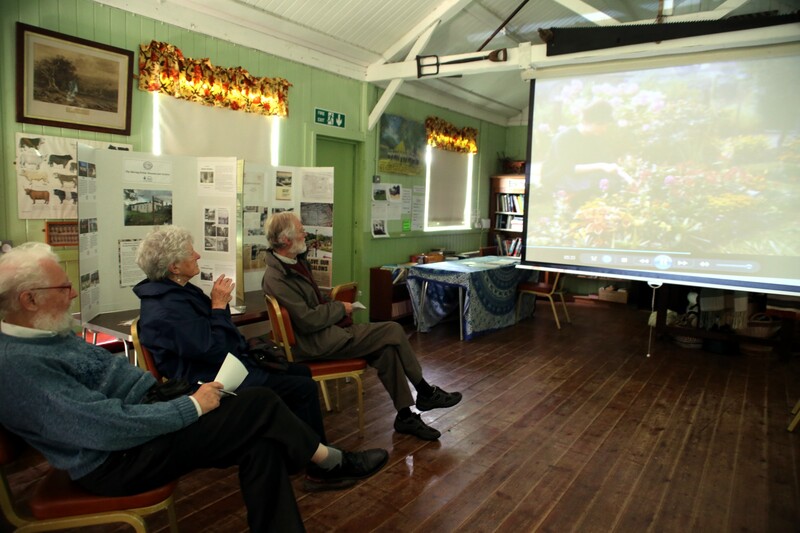 On the 3rd of July 2016, we were invited to hold a prefab event at the Rural Life Centre in Farnham, Surrey. The sun was shining and apart from the usual Sunday rail disruptions, the day started very nicely and smoothly on the museum ground, surrounded by buildings and objects from other eras. Emma, the museum director, had planned to let us use the Village Hall for our prefab exhibition, film projections and tea party. 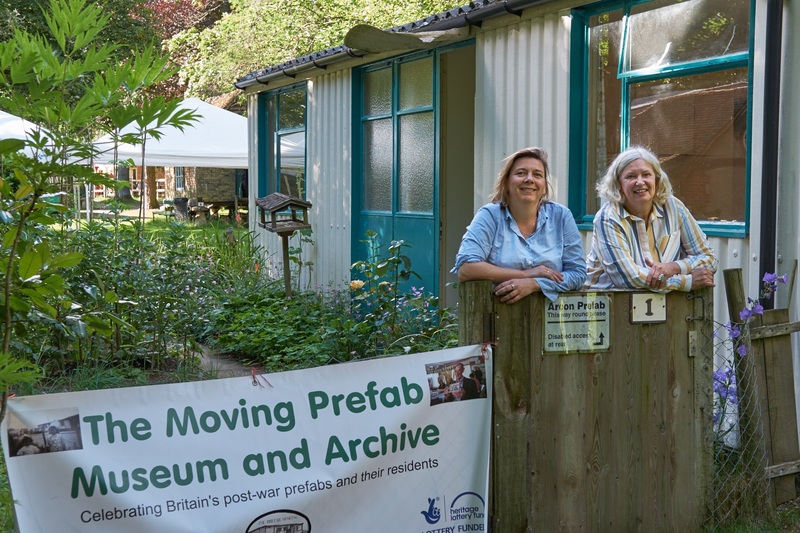 By the prefab, a lovely Arcon MKV, we had visited earlier in Spring, we had a marquee where visitors were told to make their way towards us, have a cuppa, some biscuits and enjoy our exhibition and company! 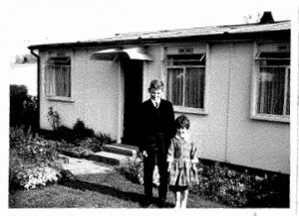 The idea was also to record some prefab memories, scan some old photos, hear more about what living in a prefab was. We had three visitors who had made the effort to bring their photographic treasures. Two had lived in prefabs near Farnham. Selim and I filmed a brother and sister talk to each other about living in the prefab, about how they loved living there. The conversation was rich as they didn’t necessarily remember the same things and encouraged each other to tell more. 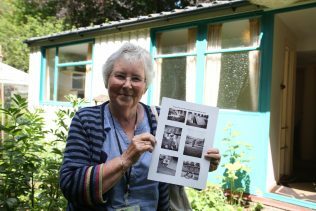 Another lady told us about her childhood in an Eastbourne prefab and how they were poor as her dad had TB, but despite the poverty, she only shared happy memories of her prefab days. The day went very quickly as we didn’t stop being busy, Jane recording more and more prefabs locations, entertaining visitors, sharing her knowledge, me making teas, coffees, and recording stories and Selim filming, photographing the event. 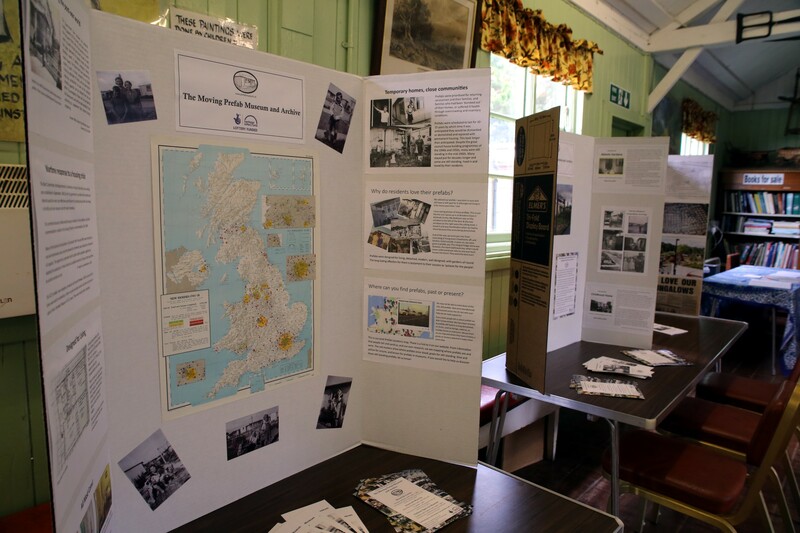 Around 4.30 pm, we started packing up our portable exhibition, the sun was still shining. 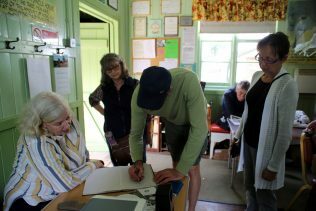 It was another successful day “in the prefabs”, people were happy to talk prefabs and share some happy moments of their lives with us. What else could make us happier? 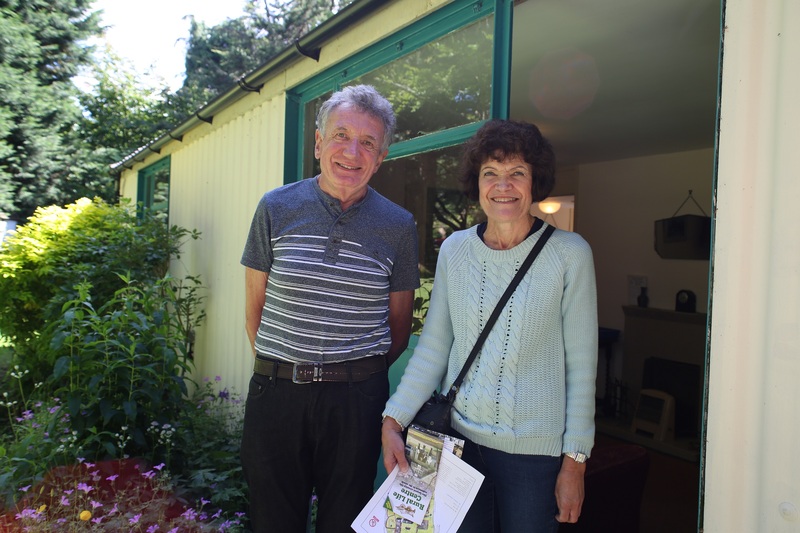 You can read about the history of the Rural Life Centre Arcon prefab, and the history of Arcon, in One Arcon Story.